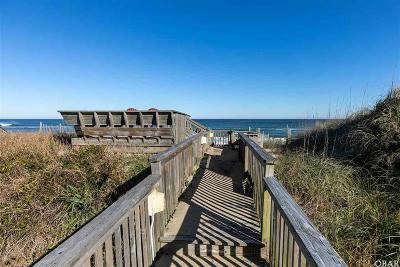 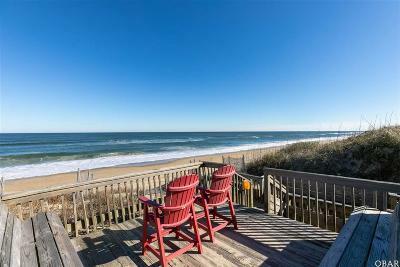 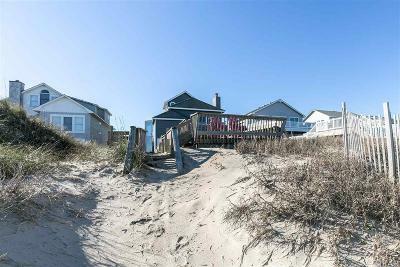 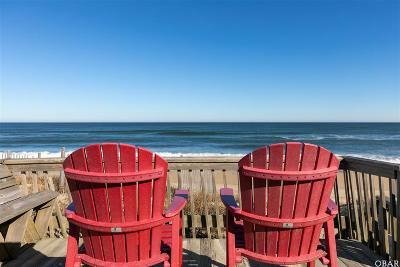 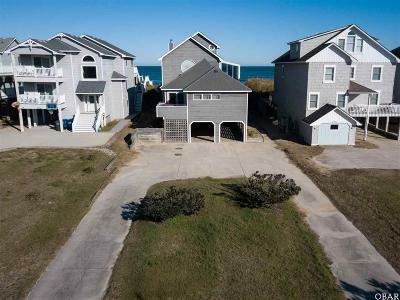 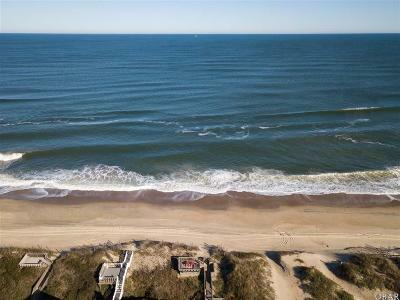 Oceanfront 6 bedroom, vacation home investment property with a strong dune that includes dune-top seating, plenty of beach, and easy access to get there with a private boarded walkway. 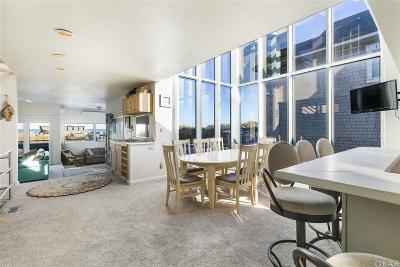 This sun-drenched retreat with floor to ceiling windows in the dining area and open stairwell give home an open and airy feel. 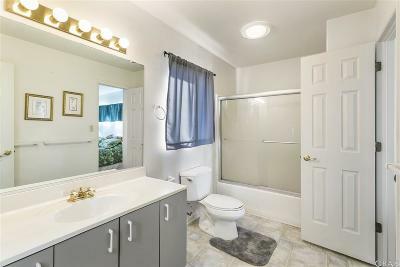 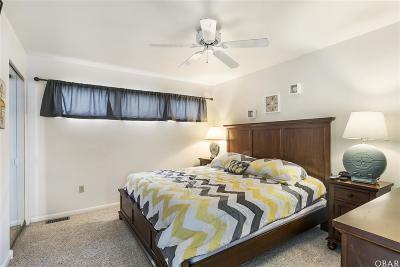 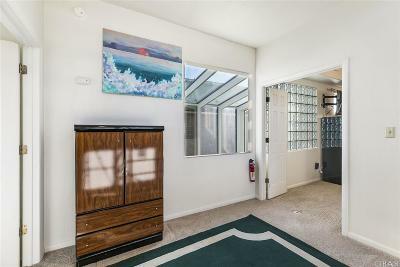 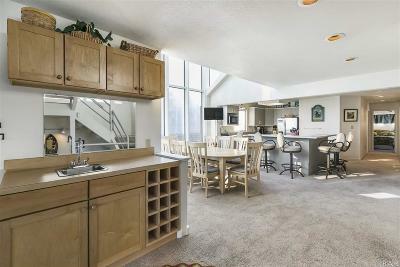 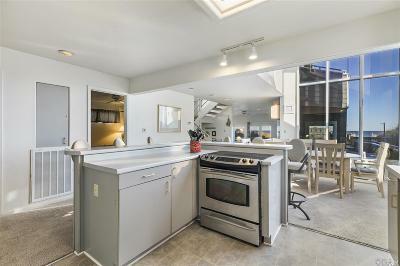 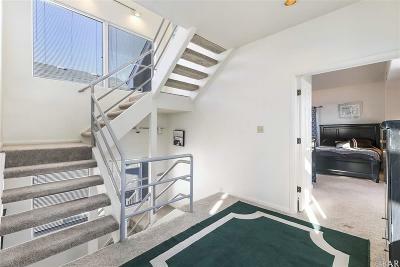 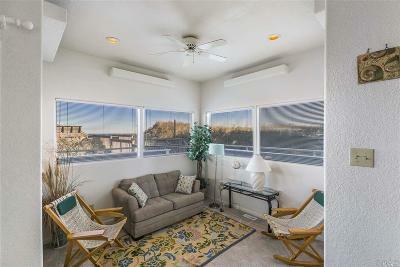 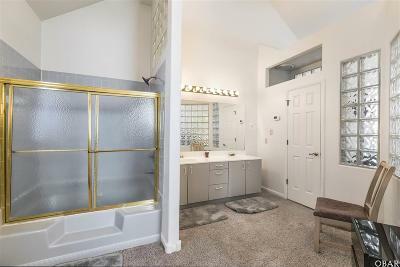 If you are into cooking and hosting large gatherings, then you will be excited to have the space for it in this home. 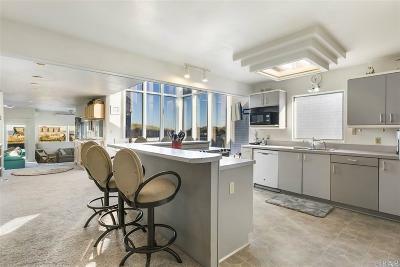 There is plenty of seating at the kitchen island where people can sit at the same time and watch TV or they can hang out and mingle with the hosts.There is also a separate built-in bar and cabinet to store different drinks and glasses. 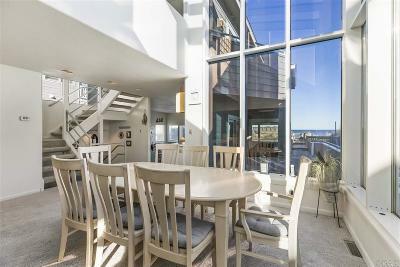 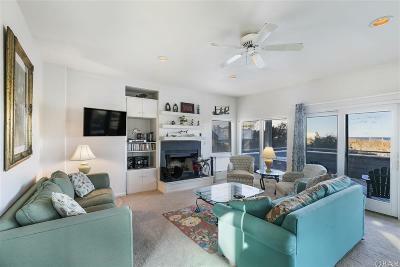 Plus, there are two gathering areas on this level where people can mingle and enjoy the ocean views or gather around to watch TV or sit by the fire. 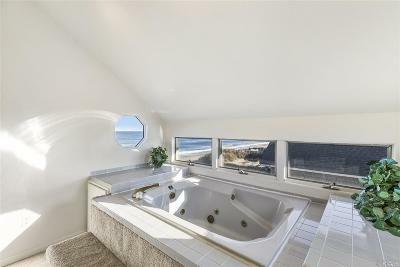 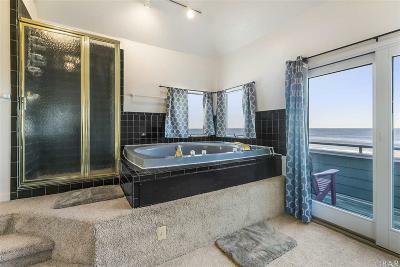 On the top-level (shipswatch) is a jetted tub from which to relax and enjoy stunning ocean views. 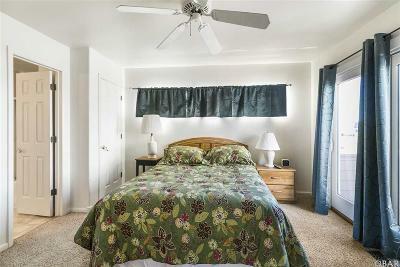 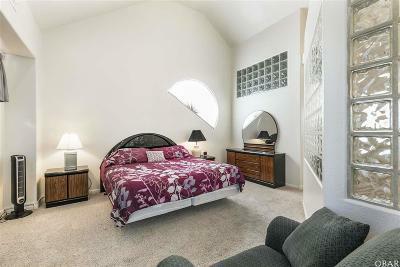 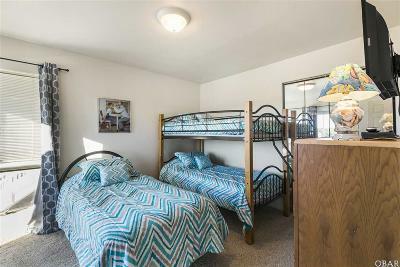 Every bedroom has flat-screen TVs. 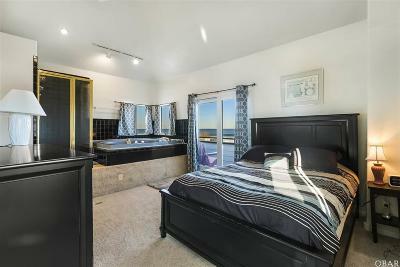 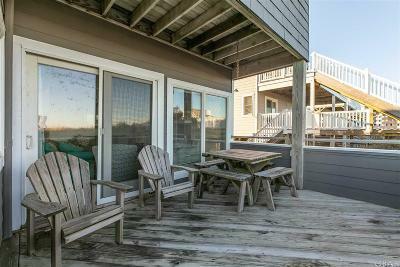 There is a hot tub outside from which to relax, enjoy the stars, and hear the ocean waves crashing on the beach. 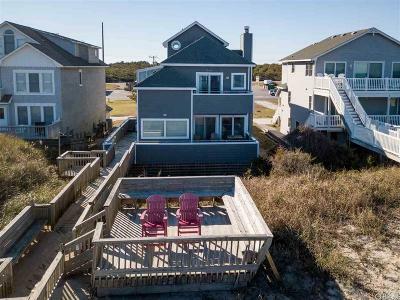 The exterior was freshly painted in fall 2018. 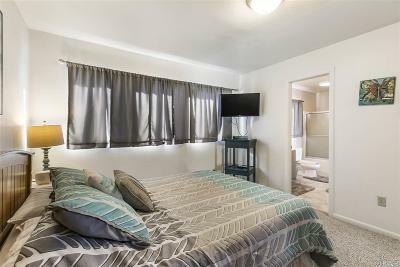 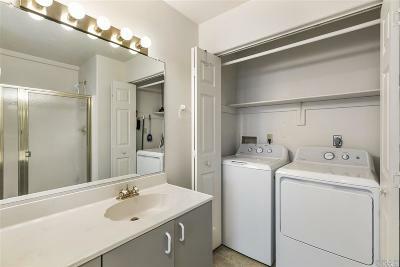 Already has rental bookings for 2019.